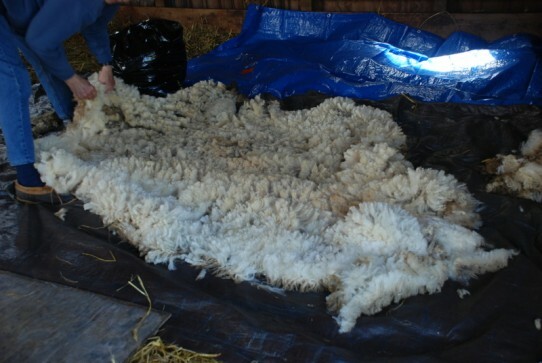 Shearing is the big event of the Spring at the Stonehaven Farm. By early May the sheep look like big balls of fluff their wool is so long. 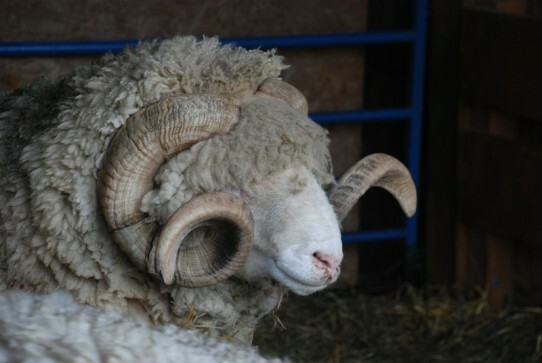 Max can barely see around his horns and through his bangs. Kevin Ford, the premier blade shearer in the country, shears for us. 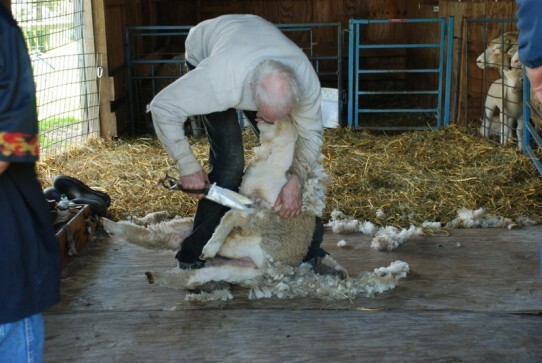 Blade shearing is pretty much a dying art – most people use electric clippers. 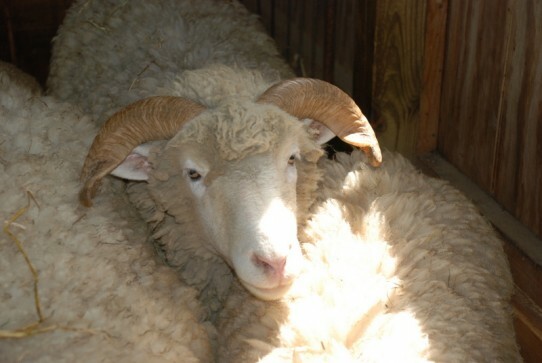 But blade shearing is quieter and more peaceful. This is how it works, and you have to move fast to keep up with Kevin. He gets a sheep from the holding pen and twirls it on the shearing platform (a piece of plywood) till it lands on its rump. A good shearer like Kevin knows exactly how to hold the sheep so they are as comfortable as possible and don’t struggle. 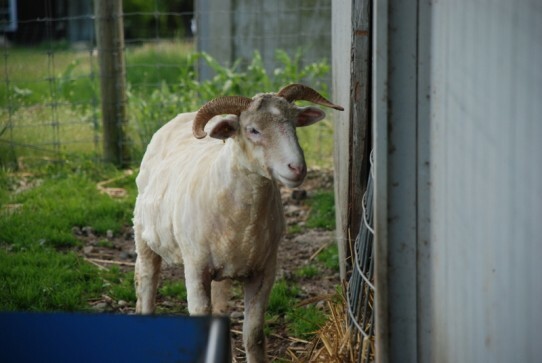 Once it’s sheared, Kevin lets it go, the sheep runs outside clean and white as can be and much much smaller. One of us grabs the fleece and spreads it out on a tarp to clean and then bag. The other person sweeps the platform. By this time Kevin has another sheep to be twirled. 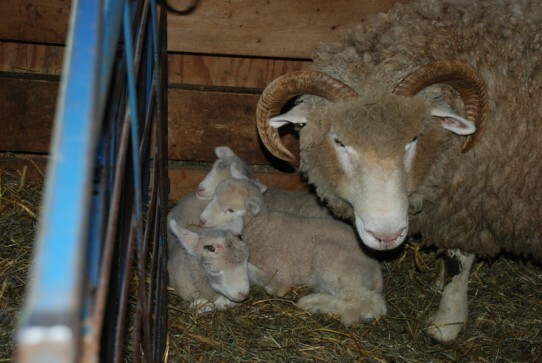 This year I had three helpers: my friend Angie who took all these pictures while Genaro and I cleaned fleeces and swept. 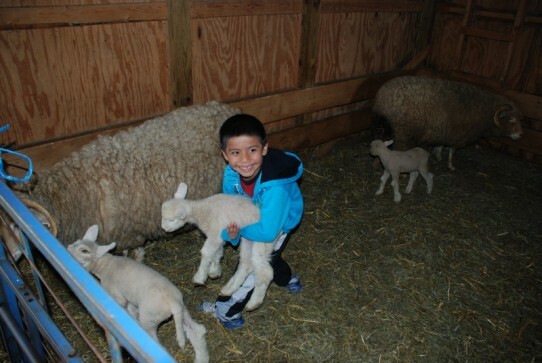 Marvin, Genaro’s son, busied himself carrying the week old triplets around and around the pen. After shearing we all go up to the house and have a meal of, you guessed it, lamb.